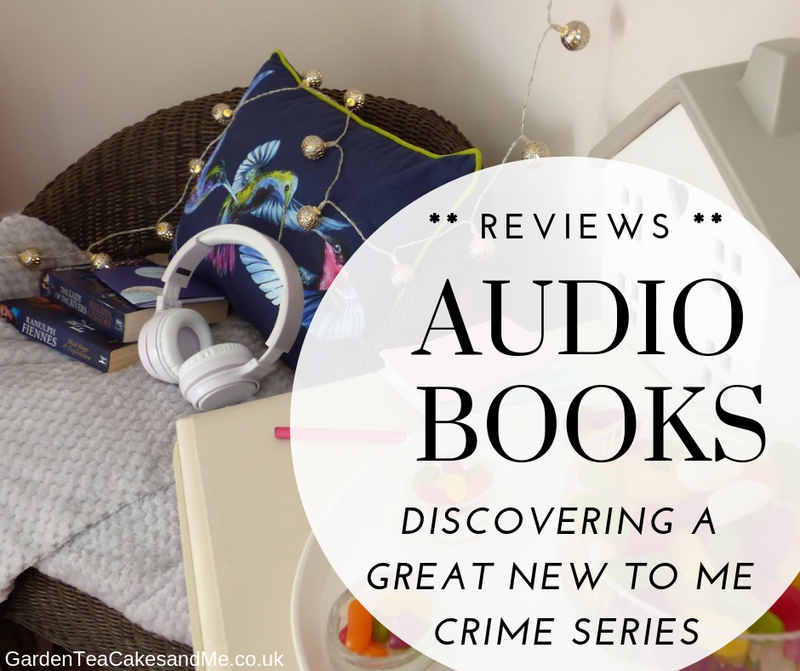 This is second of my book reviews focusing on audio books, and three very different books they are. 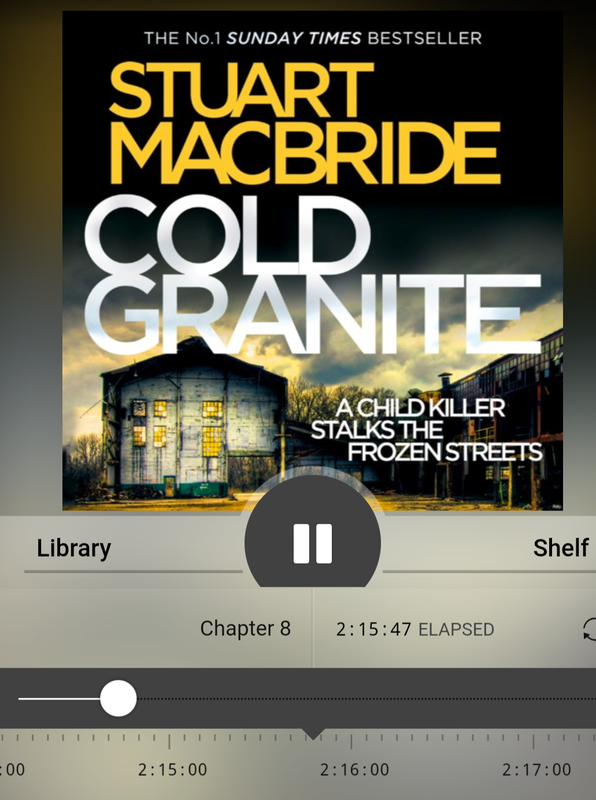 All these audio books have been download for free from my local library using the Libby app, which allows you to listen to the book via either a mobile phone or tablet device. The app remembers to sync where you are in the book regardless of the device used, so you can swap between the two. Also the book is download to the app so if you are out and about you are not streaming it and using up your mobile data. Find out more in my Free Library Audio Books Using the Libby App blog post. This book falls into the the spy thriller genre, a complicated twist of international terrorists and security services from across the world. Legendary spy, assassin, and art restorer Gabriel Allon is back and out for revenge determined to hunt down the world's most dangerous terrorist, a shadowy ISIS mastermind known only as Saladin. Four months after the deadliest attack on the American homeland since 9/11, terrorists leave a trail of carnage through London's West End. The attack is a brilliant feat of planning and secrecy, but with one loose thread: the French-Moroccan street criminal and ISIS operative who supplied the combat assault rifles. The thread leads Gabriel Allon and his team to the south of France and to the doorstep of Jean-Luc Martel and Olivia Watson. A beautiful former fashion model, Olivia pretends not to know that the true source of Martel's enormous wealth is drugs. And Martel, likewise, turns a blind eye to the fact he is doing business with a man whose objective is the very destruction of the West. Together, under Gabriel's skilled hand, they will become an unlikely pair of heroes in the global war on terror. This book is number 17 of the Gabriel Allon series. I should add that I have not read any of the other books in this series, though I don't feel it compromised my understanding. 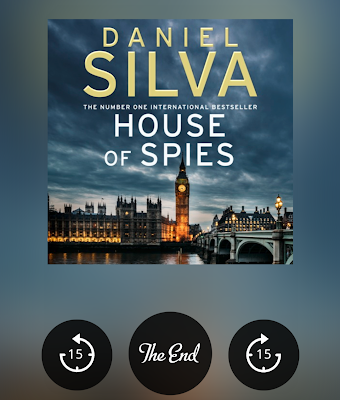 I thought the book read well as a standalone novel, something I am sure is down to the writing skill of the author Daniel Silva. Gabriel Allon is a secret agent and art restorer working for the Israeli secret intelligence service. Coordinating across borders and agencies to bring down ISIS terrorist Saladin, who has wreaked havoc with multiply terrorist attacks in capital cities in Europe. This is a novel that immerses the reader into the complicated world of international spies, the underhand tactics and colossal amounts of money involved in penetrating the underground world of international terrorists. Travelling across the globe from apartments in London to glitzy millionaire villas in San Tropez. The scale of the terrorist attacks is frighteningly real. Fast paced and gripping its a novel that requires all your attention from start to finish. I will at some point I am sure pick up another book in this series, though I am quite sure I can hear some of you tutting that I have not started with the first book but jumped straight in at number 17! Want to keep up to date with the books I am reading or maybe watch my mini book review videos. Check my Instagram Stories titled Reading Challenge on my GardenTeaCakesandMe Instagram account. Almost bigamy and absolute murder—Agatha's life is never dull... The morning of Agatha's longed-for marriage to James Lacey dawns bright and clear. But her luck runs out in the church when Jimmy, the husband she had believed long dead, turns up large as life and twice as ugly. Agatha has a go at strangling him. It's all too much for James, who breaks off the engagement. So when Jimmy is found murdered the next day. Agatha and James are both suspects. And they'll have to work together in order to clear their names.. This audio book is shorter than many at only 6 hours in duration, and narrated by Penelope Keith. I have watched a few of the Agatha Raisin tv programmes, and enjoyed them, so thought it a safe bet to listen to one of the audio books. I am already familiar with the main characters Agatha Raisin and James her fiancee, along with a few of other occupants of the Cotswold village where they live. It's the eve of Agatha and James wedding when Agatha's first husband Jimmy who is not as dead as she thought, turns up. As usual with the Agatha Raisin books the story is told in a humorous manner, though after time I found it also silly and annoying. Not something I had strong feelings about when watching the show. I found after a few hours of listening it was rather irritating. The story moves along keeping the theme of farce and utter ridiculousness. I also did not enjoy the story being narrated by Penelope Keith, though I do wonder if this was due to the grating story line more than her story telling. 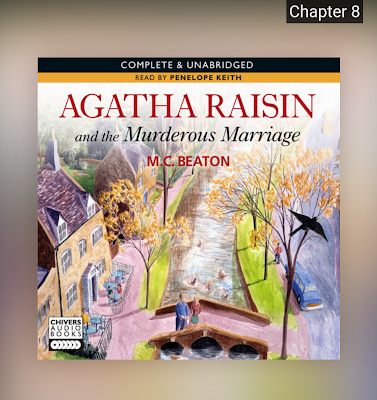 I gave this audio book 2 stars, and will not be reading or listening to anymore of the 30 odd Agatha Raisin books. I will enjoy just as much watching the tv series. It's DS Logan McRae's first day back on the job after a year off on the sick, and it couldn't get much worse. Four-year-old David Reid's body is discovered in a ditch, strangled, mutilated and a long time dead. And he's only the first. There's a serial killer stalking the Granite City and the local media are baying for blood. Soon the dead are piling up in the morgue almost as fast as the snow on the streets, and Logan knows time is running out. More children are going missing. More are going to die. And if Logan isn't careful, he could end up joining them! A gritty and brutal crime thriller set in Aberdeen, Scotland. I found the story telling by the narrator bound the reader to the investigation and search for a brutal serial child killer. I would be interested to know from anyone who has read the book if they felt the same. This audio book runs for 12 hours, and right from the start you are gripped by the investigation. This is a hard hitting story line, involving the kidnapping and murder of children. You feel the urgency and the need of the police to find the killer and the children as soon as possible. These books are not for the weak, it will test your resolve at the description of some of the crime scenes. You will feel as though you are sitting next to DS Logan McRae as he interrogates suspects and witnesses. Thought it is not a case of a straight forward murder investigation, additional crimes and suspects are discovered along the way. It is only as the story progresses it becomes apparent that there are many overlapping suspects and crimes that come about from the initial investigation. The police investigation is hindered by newspaper reporter Colin Miller, who is publishing key information about the investigation. Millers character I initial disliked, but through the story I actual grew to enjoy the antagonism between Logan and Miller. There are great characters to discover in this book my highlights were WPC 'Ball Breaker' Watson, pathologist Dr Isobel MacAlister also Logan's ex and of course DS Logan McRae. I thoroughly enjoyed Steve Worsley's narrating of the audio book, his Scottish accent made it all so real, adding real depth of character to Logan Mcrae. One thing for sure I will be reserving more books at the library by Stuart MacBride and exploring the career of DS Logan McRae. It's Harry Potter all the way at the moment as part of our family book club. I am currently part way through Harry Potter and the Order of the Phoenix, so just two more books to go. Then I can hopefully refocus on my reading challenge bookshelf. Though a visit to Harry Potter studios is beckoning!